Long-time central bank watchers will not be surprised to hear that Jürgen Stark is skeptical about the program of quantitative easing (QE) launched by the European Central Bank (ECB) on 22 January. As a member of the executive board of the ECB from 2006 to 2011, Stark twice voted against ECB bond-buying programs supported by then-president Jean-Claude Trichet, and he seems no more supportive of current ECB president Mario Draghi’s announced strategy to purchase €60 billion in bonds every month until September 2016. In a talk at the 68th CFA Institute Annual Conference, Stark suggested the effort is dangerous and unlikely to return Europe to sustainable economic growth. Given the abrupt market reaction to even the mention of a reduction in asset purchases by the US Federal Reserve, the so called “taper tantrum” of 2013, Stark said we have no experience with what an actual policy exit would mean. Furthermore, in the case of Europe, there is no indication that QE will be as effective as it appears to have been in the United States and the United Kingdom. “In my view, the impact channels do not work in Europe as they did in the United States and the United Kingdom,” Stark said. According to Stark, the impact of ECB policy was more likely to be seen in a depreciation of the euro exchange rate. Stark said the ECB started talking down the euro exchange rate in the autumn of 2014. But while Germany stands to benefit from “competitive devaluation,” Stark said even this will have an asymmetric effect on different countries of the euro area, as France and Italy don’t have the export capacities to benefit to the same degree. Moreover, Stark noted that there remains a huge amount of nonperforming loans in the banking systems of different countries, and bank lending is still impaired. The ECB has bought time, but for what? Policy makers have been slow to implement much-needed reform, and suggested delays were an indication of the moral hazard created by ECB policies, on which the markets have become dependent. “Easier money cannot solve the problem [of sustainable growth]. It is a myopic, shortsighted approach to create higher nominal growth, but it won’t be sustainable. Real growth can only be produced by structural reforms and more flexible labor markets,” he said. Stark noted that opposition to reform comes from a fear that, in the short term, structural reforms will have a negative economic impact. But he suggested this isn’t necessarily true. “[Reform] can create a positive confidence effect of government addressing the problems of the economy,” he said. 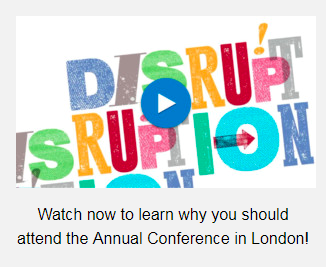 A recording of Jürgen Stark’s session at the 68th CFA Institute Annual Conference in Frankfurt is available in the CFA Institute Publications & Multimedia Library online. This entry was posted in Economics, News and tagged central banking, Central Banks, monetary policy, quantitative easing. Bookmark the permalink.